Mobile Visitors Register for Free Class Below! H HG6 ProSpot – the first group personal training studio that utilizes state-of-the-art, self-spotting, strength-training Smith machines that enable our members to do interval group weight training securely and perform core strengthening and full body workouts safely while building lean muscle mass and boosting your metabolism. i Intensify your workouts and you’ll increase strength, cardiovascular health, while improving your stamina. 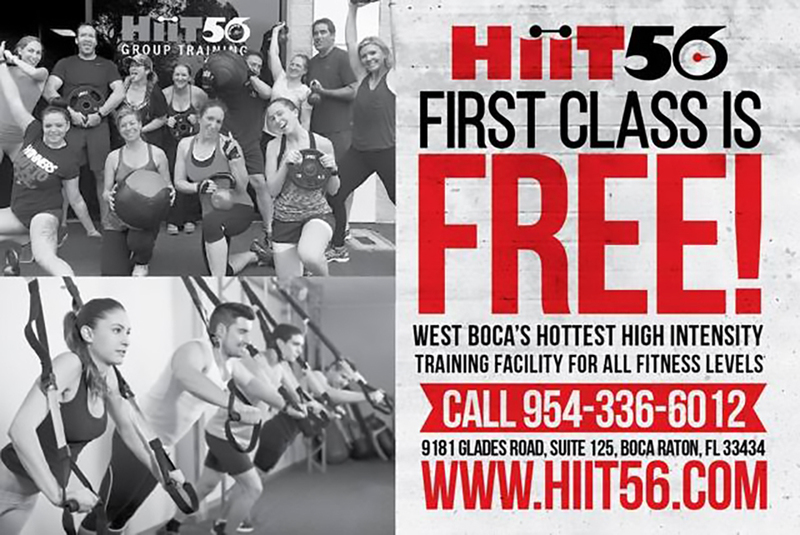 Achieve your fitness goals by first visiting our unique group interval training studio in Boca Raton. Then become that lean, mean, calorie-burning machine! i Interval group training. Heart-pumping interval group training classes utilize ProSpot machines. Also in our personal trainers fat burning arsenal are rowers, battle ropes, TRX, slam balls, and even your own body weight. Our experienced, Certified Professional Trainers design their own training programs, guaranteeing every session is effective at helping your reach your fitness goals in the quickest time possible. T Tried and true small group personal training, but with an edge, a new technology not offered anywhere else in Boca Raton, or anywhere else for that matter. The benefits of group interval strength training are scientifically proven to build lean muscle mass, control your body weight, increase your stamina, and also manages chronic conditions like back pain, arthritis, obesity, heart disease, diabetes, etc. New scientific evidence shows it can even help sharpen focus among adults. Fact: Aging decreases muscle mass. Use it or you lose it! 56 Get more done in less time! Our small group personal training classes provide a complete, total body, metabolism revving, weight and cardio workout in 56 minutes! It’s not how long you workout but how well you train.